Living in central Mexico has been wonderful. I am constantly amazed by the beauty of this region. The only drawback thus far has been the climate. The air is very dry and we are hours from any ocean getaway. My co-worker Doris is from Acapulco and has also missed relaxing on the beach with her toes in the sand. 🙂 Luckily Querétaro has been blessed with many hot springs. These natural thermal pools have groundwater ranging from 98-104 °F. 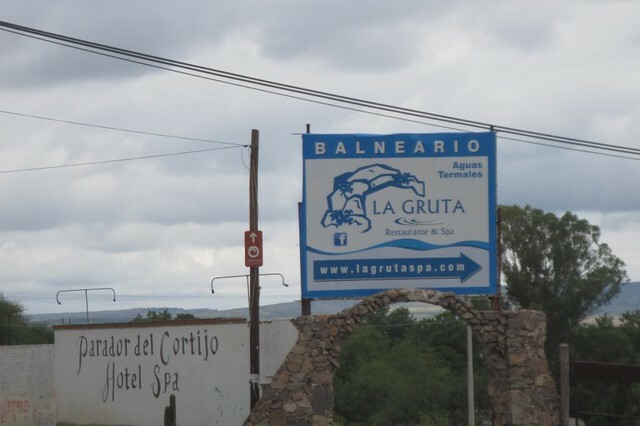 After researching many options in the area, we decided on La Gruta in San Miguel de Allende. 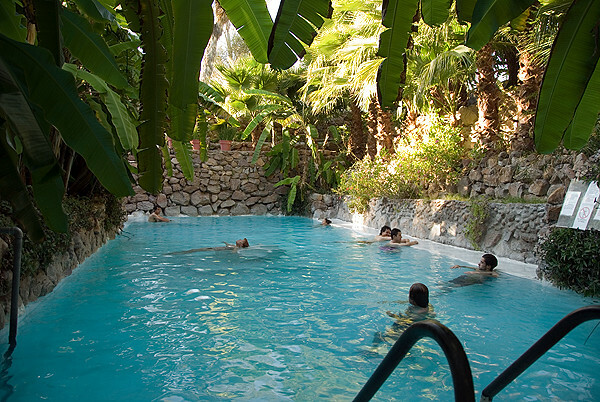 They offer three outdoor pools that are fed by thermal hot springs. 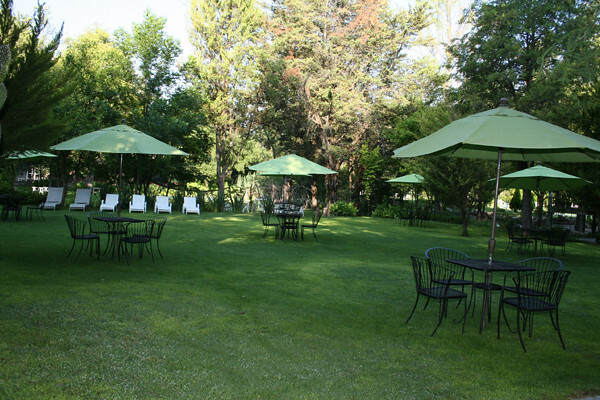 They also have a restaurant, tranquil garden and day spa with massage packages for the ultimate day of pampering. 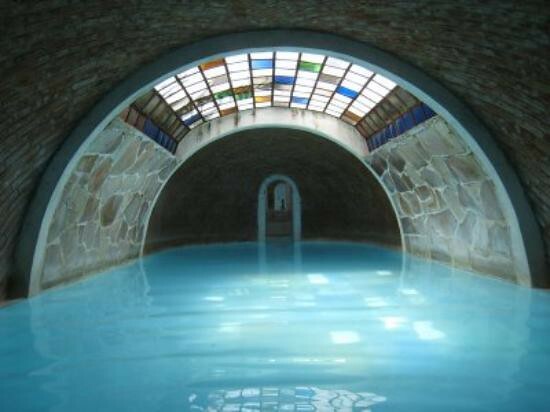 The hottest of the pools ascends down a tunnel, which leads into a grotto or gruta. This dome shaped cave is encased in beautiful stone and sports of fantastic cascade waterfall. Doris and I took the bus to San Miguel from Querétaro. 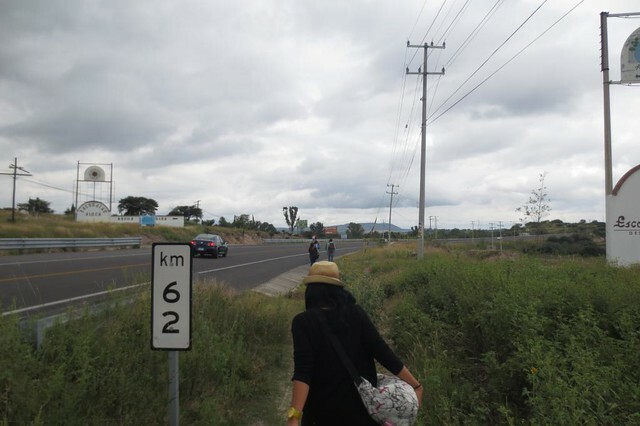 After hours of travel, the bus dropped us off the side of the highway. Hah. We had to hike the rest of the way. At least we were not alone. Many other travelers were en route to La Gruta as well. Finally we had made it! Admission costs around 9 USD, which includes unlimited use of the pools. They also offer lockers, which can be rented for around 4 USD. Your deposit is returned at the end of your visit. After the mini pilgrimage to get there, we were ready to take a dip! 😀 The water was ABSOLUTELY AMAZING. 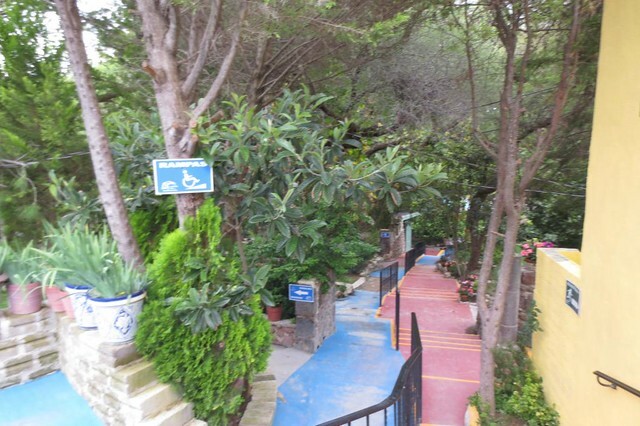 The grounds at La Gruta are very peaceful and tranquil. It is the perfect getaway. We were able to travel down the tunnel into the grotto to experience the hottest natural spring as well. It was so steamy inside the cave that I could not take my camera. We were able to also stand under a rushing cascade of hot water. It was absolutely wonderful. After watching everyone around us with cocktails in their hands, we decided to head to the bar for a drink. I am starting to become a michelada connoisseur. 🙂 The afternoon was spent relaxing by the pool with our cocktail. Many people brought a book or a magazine to read, while they relaxed in the garden. 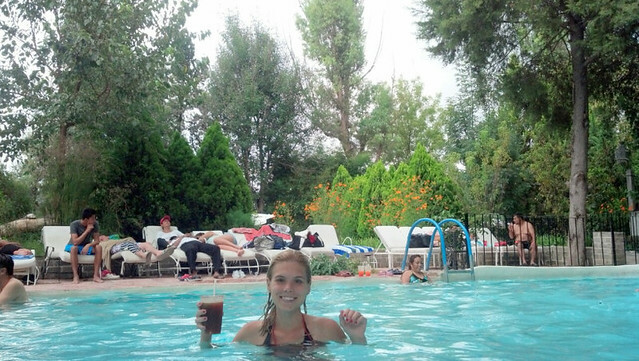 Others took a little siesta in the lounge chairs by the pool. 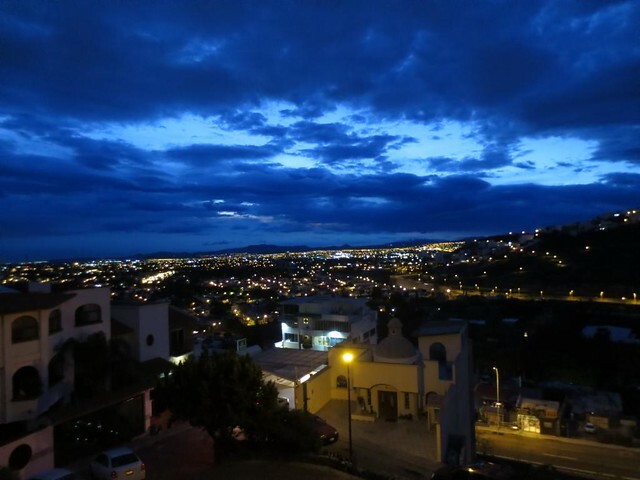 The best part about La Gruta is the environment. It puts you at complete ease. I was not able to try the papaya today, because we wanted to check out the restaurant at La Gruta. 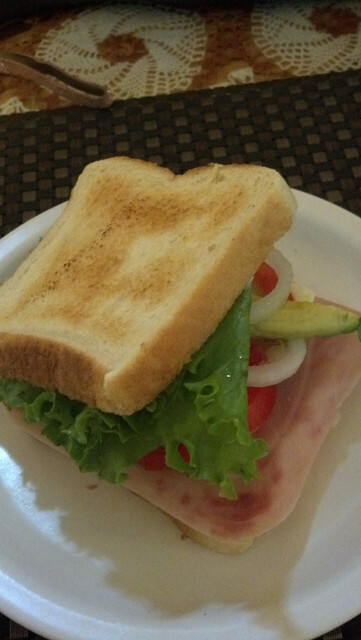 I had a tasty ham and cheese sandwich with avocado and tomato. Doris had some yummy chicken enchiladas in green sauce. 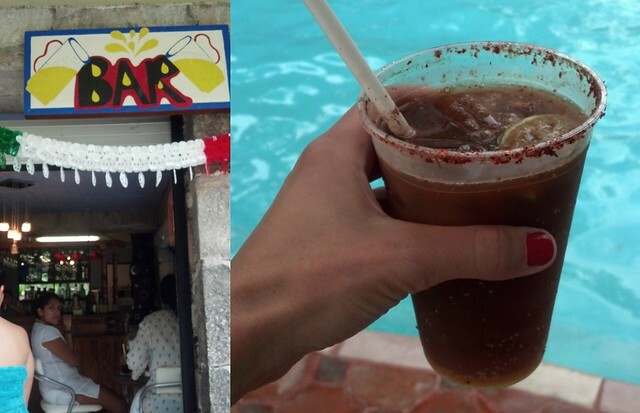 The afternoon seemed to slip away from us and before we knew it, La Gruta was about to close. We headed out the door and began our trek back home. The bus ride home featured the movie Cloud Atlas. It was an interesting, but very strange movie starring many famous actors. Unfortunately, we arrived home before it finished. 😦 I will have to watch the rest another time. I had to end the day by hiking back up the mountain to my house per usual, but I should never complain. Look at this fantastic view! 😀 Tomorrow is our Independence Day celebration at school. I will need to get some rest before then. Good night!